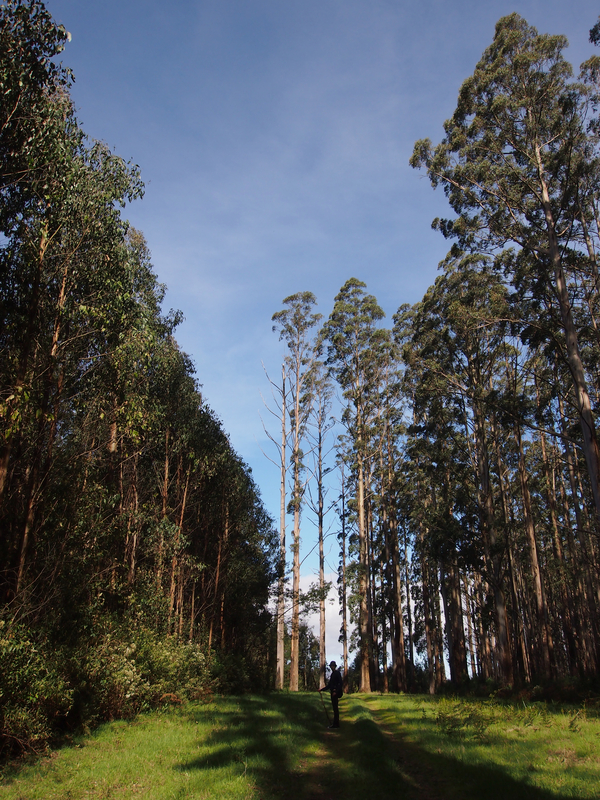 Another photo from the Yarra Ranges, I just can’t get over these trees. 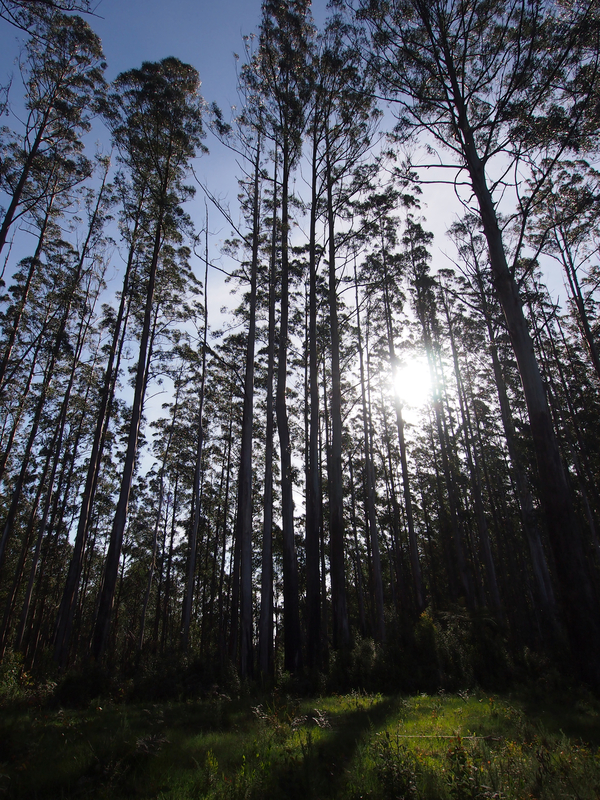 On our walk in the forest, we suspect (due to a number of blackened trunks) that we could see the effect of the 2009 bushfires. On the left of the ridge (and the pictures), the trees are a lot shorter and more uniform in height. (A pretty impressive recovery though!) 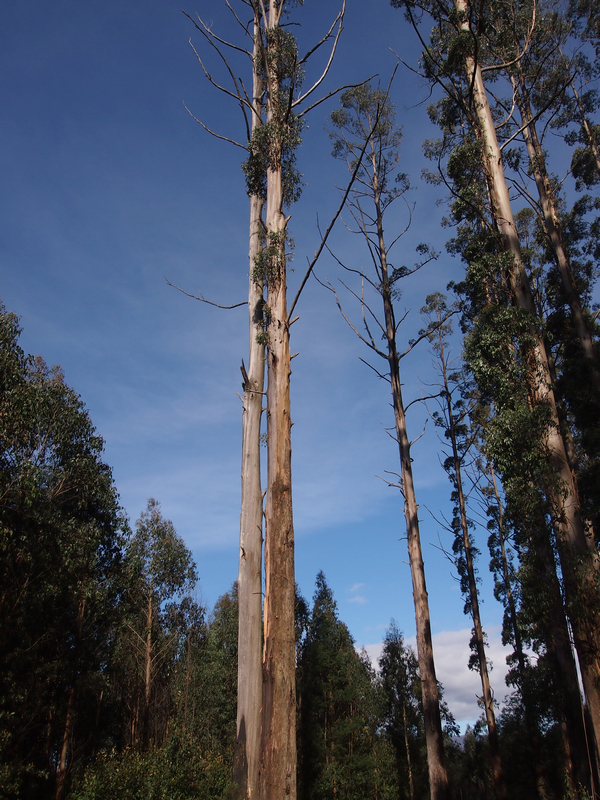 On the right in the water catchment are the full height Mountain Ash, mostly unscathed. I can only guess what caused this tree to branch off, but it seems to have quickly resumed its upward journey. 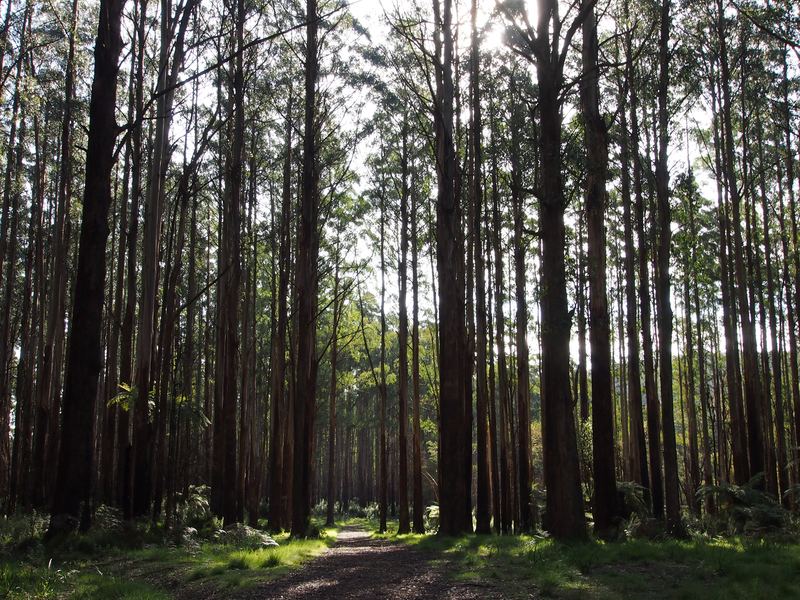 For a birthday treat, we visited the Yarra Ranges National Park. We took a short walk up Dom Dom Saddle, just off the highway that runs along ‘Black Spur’. The track runs along a ridge in the water catchment (so no walking off the path!). 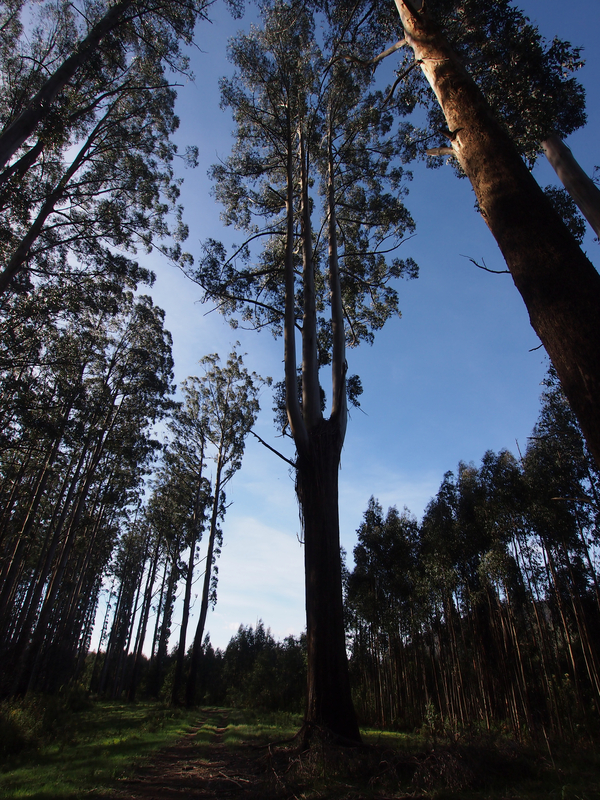 One side of the saddle had been burnt out in the 2009 bushfires, but others survived with a few blackened trunks. 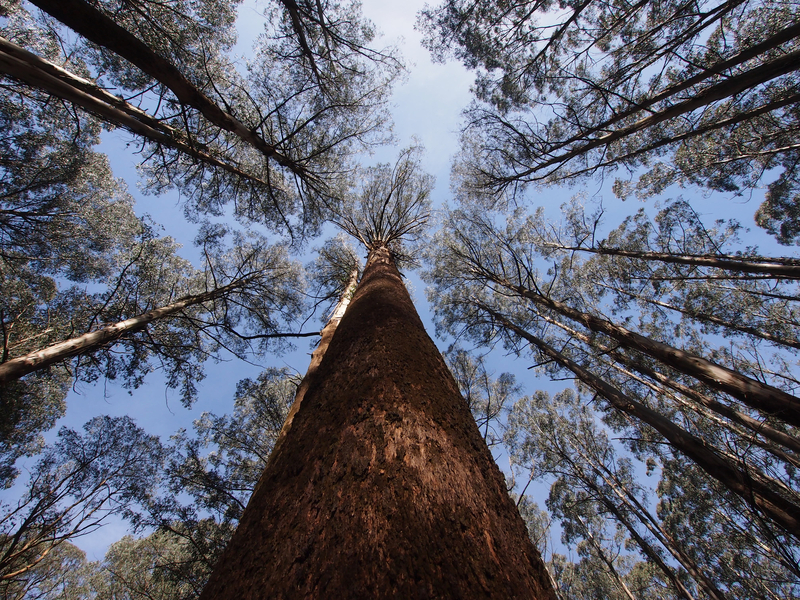 These are Mountain Ash or Eucalyptus regnans, the tallest flowering tree in the world. And they are indeed tall, and skinny. This individual was the thickest that we spotted.